Manager of Indiana's BerryWinkle frozen yogurt venue touts DOLE Whip® as "the best thing [she has] ever done." People are going crazy over DOLE Whip® at the zoo, so they added a second location. Calling all sweet tooths! Disney has some sugary surprises in store for this upcoming summer including a Dole Whip-inspired cupcake. "It's Lemon" is on the must-have dessert list. The iconic theme park is serving DOLE Lemon as a “Monsters, Inc.”-themed soft serve at the Adorable Snowman Frosted Treats. For all those Disney fans out there, here’s another reason to visit Anaheim this summer: There’s a brand new soft serve flavor at the Disney California Adventure Park’s Pixar Pier. Out of all the changes at Disneyland, it’s the treats and eats that are poised to become showstoppers, with a half-dozen new locations that will serve can’t-miss cookies, upscale meals with a view, and even a brand new version of DOLE Whip. KPFG is humbled to accept the Dot Foods Quality & Service Award for the seventh year in a row! You can now have a DOLE Whip doppelgänger for breakfast. Bring your phone chargers — and your appetite — because Disneyland will soon let you purchase snacks, like the DOLE Whip from your smartphone. The Monsters, Inc.-themed dessert stand Adorable Snowman Frosted Treats will serve “It’s Lemon,” a bright-yellow soft serve “snowcapped” with white chocolate, named after a bit of potty humor from the 2001 animated film. Jim Ingram has joined the Kent Pet Group as a retail sales specialist covering the Southeastern U.S. This May, Disney will be debuting a lemon version of one of their most beloved snacks — the Dole Whip — at Disneyland Resort's Disney California Adventure park. The only change is in packaging, the formulas are exactly the same. 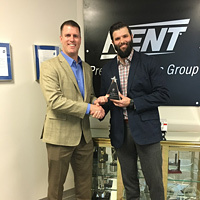 Jimmy Kent has been promoted to director, sales and marketing, at Kent Precision Foods Group Sqwincher division.